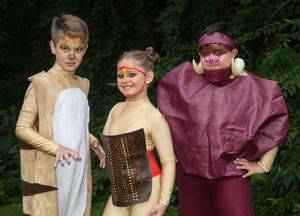 Musicals at Richter (MAR), now in its 34th season as the longest-running outdoor theater in Connecticut, concludes its offerings with “Disney’s The Lion King, Jr.,” performed by students from its Summer Youth Musical Theater Workshop. 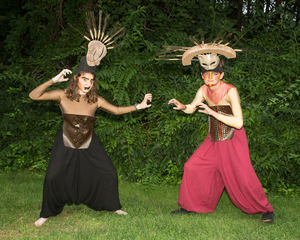 Staged on the grounds of the Richter Arts Center in Danbury, performances take place outdoors under the stars at 8:00 p.m. Thursday, Friday and Saturday evening, August 16-18. Adapted from the blockbuster Broadway musical and Disney’s popular 1993 animated film, “Disney’s The Lion King, Jr.” brings the African savannah comes to life with Simba and Nala, Pumbaa and Timon, Mufasa and Scar, and more unforgettable characters as they journey from Pride Rock to the jungle and back again in this inspiring, coming-of-age story. This vibrant tale has captivated worldwide audiences. 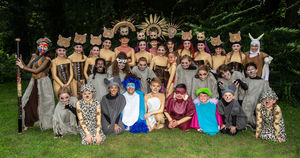 Directed by Jen Yates McPartlin (New Fairfield) and choreographed by Doreen Rafferty (Brookfield), “Disney’s The Lion King, Jr.” features a talented cast of more than 30 young area performers. 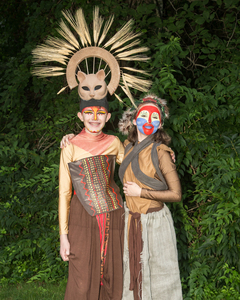 Olivia Scherer and Ethan Berger (both of Danbury) share the role of Simba (younger and older, respectively). Grady Bomba (Brookfield) portrays Simba’s father Mufasa and Sydney Michel (Ridgefield) is the mother lioness Sarabi, joined by Sara Heinen (Sandy Hook) and Ciara Cuneo (Patterson, NY) as younger and older versions of Simba’s friend Nala. Curtis Rodriguez (Danbury) takes on the role of the warthog Pumbaa, joined by Southbury residents Matthew Segal as Timon the meerkat and Emily Segal as Rafiki, and Alana Ferreira-Botex (Brookfield) as Zazu. Kylie Block (Brookfield) is featured as the jealous, scheming Scar. Rounding out the company in a variety of roles are: Jack Boucher, Bennett Malo and Hannah McGuire (Bethel); Izzy Ferro (Brewster, NY); Heather Bothwell, Madeline Bringman, Liliana Calipa, Sophia Fawcett, Tatiana Frouge, Emma Jardim, Mila Kuilan, Grace Mariano, Fallon Rivard, Kate Salvador, Aanika Shriram, Caroline Stanton, Isabelle Stein and Morwenna Zarba (Danbury); Chloe Adams and Molly Tarnowski (New Fairfield); Naiomi Herrman (Redding); Dusya Kotereva (Ridgefield); and Joseph Gaetano (Southbury). The creative team also includes Richter veterans Caitlin Mandracchia (Sherman) as musical director and Will Armstrong (Old Greenwich) as set designer and tech director. 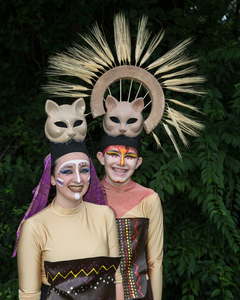 “The Lion King, Jr.” is performed at the Richter Arts Center (next to the Richter Park Golf Course, I-84, Exit 2), 100 Aunt Hack Road, in Danbury. Tickets for this summer youth performance cost $15 for adults and $10 for seniors/students and $5 for children, and may be made reserved through the Musicals at Richter website (www.musicalsatrichter.org) or purchased at the door. Grounds open at 7 p.m. for picnicking, with curtain at 8:00 p.m. (please note earlier show time). Soft drink/snack concessions are available on-site. Photo credit if you give one to David Henningsen.